Has China overinvested in high speed rail? Anecdotal stories of empty train stations (paywall) in far-off provinces have led some to conclude that high-speed rail is just another Chinese white elephant—an investment without a cause. 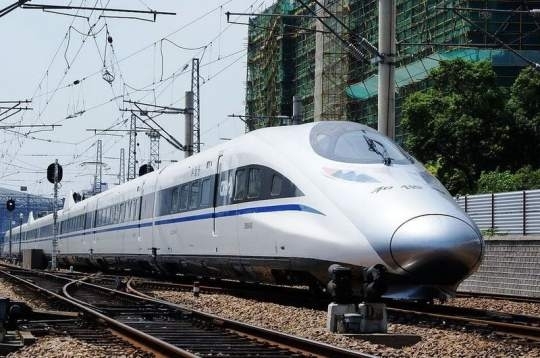 But the recent experience with high-speed rail belies this narrative, and a closer look at the data reveals that high-speed rail has been, and is set to be, a vital part of China’s growth strategy. Passenger rail has grown very quickly over the past decade. As seen above, from 2001 to 2011, national passenger turnover doubled. Yet this rise in demand has not been accompanied by a comparable increase in the length of railroad track. As a result, each kilometer of rail is now supporting more passengers. In other words, rail utilization has become more intense. In 2001, the average kilometer of rail supported 680 km (422 miles) of passenger travel. By 2011, this rose to 1,030 km, a 50% increase. This phenomenon has been going on across the country—particularly in the inland provinces. 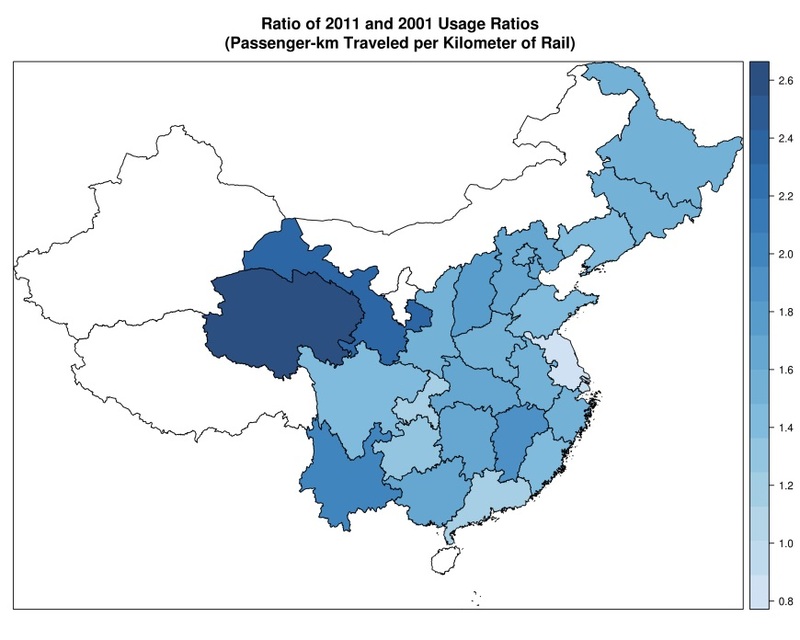 During the same time period, rail intensity in the frontier province of Qinhai increased by a factor of 2.5. 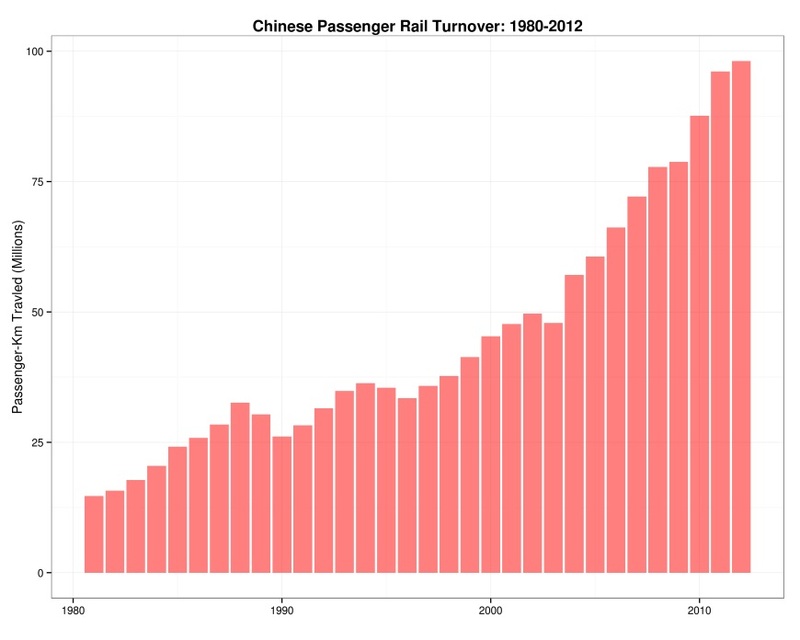 In no other period of Chinese history has passenger rail demand been this strong. In this context, high-speed rail has become important by enabling a more intense utilization of existing railways. When too many trains take too much time traveling the same length of track, they can get in one another’s way. But high-speed rail gets around this issue by reducing the amount of time any single trip takes. For example, the July 1, 2012 opening of the Yichang-Wuhan high-speed rail line cut travel time between the two cities from around four hours to only two. The recent Guangdong-Beijing line has also cut travel between the two cities from 20 hours to just eight. This has occurred across the country, and as a result, high-speed rail has allowed more trains to be placed on the same length of tracks without overcrowding. High-speed rail isn’t short of passengers either. Back in 2011, Tsinghua University professor Patrick Chovanec penned an editorial arguing that high-speed rail would be too expensive for most Chinese citizens to use, and therefore, would not have enough riders to sustain itself. But just one year later, average daily ridership on the high-speed rail network has hit 1.33 million daily passengers—more than one-fourth of the total number of passengers on the rail system. The customer reaction to the previously discussed Yichang-Wuhan rail line has been especially positive. The July 1 opening was first announced on a government website on June 25 at 10 p.m. That night, the train station received calls asking about tickets from more than 50,000 people. The news about the opening also led a blogger in Yichang to exclaim: “Two hours from Yichang to Wuhan! A trip that I never dared to imagine has now become reality—truly a blessing for the masses.” Subsequently, during this year’s three-day summer boat festival, the Yichang train station saw a staggering 72,000 passengers pass through, up 71% from a year earlier. Given that inland Hubei, a relatively poor farming province, has benefited from such an enthused ridership base, this bodes well for expansion in other parts of the country. The above data and anecdotes show that high-speed rail is a justified investment, if only based on current conditions. But it still ignores a much bigger issue: the importance of high-speed rail to China’s future development strategy. First, for China to continue growing, it must work on raising the income levels of the inland provinces. So as more Chinese manufacturing moves inland, efficient freight transport will become even more necessary. Otherwise, the factories will be cut off from the coastal markets, and therefore will miss the opportunity to become as competitive as Guangdong and other coastal provinces were 10 years prior. As discussed above, high-speed rail reduces the time passenger trains spend on the railways, and therefore open up more room for freight trains. This is good timing, as freight demand is likely to only increase as more goods need to be shipped from inland China to be sold and more coal needs to be shipped across the country to satisfy rising energy demand. Thus, by strengthening the freight transport system, high-speed rail raises growth in rich and poor provinces alike. Second, by making travel between large cities more economical, high-speed rail builds a foundation for service industries. Since high-speed rail dramatically cuts down travel times, many trips that used to be overnight now can be done in a day. While this may not be as important for the average tourist, this can be indispensable for client meetings in the business world. Without this, many high value added service industries, such as consulting or finance, would not be as strong. Third, by making travel and tourism cheaper for middle class Chinese families, high-speed rail can actually help China rebalance towards consumption. According to estimates from the World Travel and Tourism Council, the tourism industry makes up 10% of employment in China, and its direct and indirect effects add up to around 14% of China’s GDP (pdf). Since tourism depends on cheap travel, high-speed rail could play a pivotal role in fostering this industry. And indeed it has. During this year’s spring festival, the opening of the Beijing-Guangdong line caused an explosion in long distance travel packages for Beijing, with a major tourism company reporting a 50% year-over-year growth in this category. It is further forecast that the opening of this new line will result in an over 20% increase in Beijing tourism by the year’s end. By making travel much cheaper, high-speed rail can encourage more tourism and consumption growth. Fourth, if China is to avoid an environmental catastrophe, it needs to start developing energy-efficient forms of transport right now, and high-speed rail certainly fits the bill. As a recent Economist has documented, China is experiencing never-before-seen levels of air pollution. And given that China has a population of 1.34 billion people, it cannot afford to have intercity transportation be based on automobiles. There is not enough space—both physically and environmentally—for China to expand on that path. High-speed rail also competes with Chinese airlines. As CNN has documented, high-speed rail has become a very attractive option against a backdrop of worsening airport congestion. Because air travel is one of the most carbon intensive forms of transport, any substitution away from air to rail reduces the Chinese carbon footprint. Therefore, besides being a prudent investment in economic growth, high-speed rail is also a necessary investment in preserving China’s environment. This is not to say there is nothing to criticize about China’s high-speed rail development. 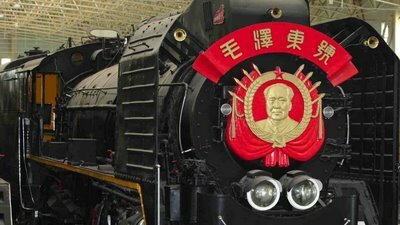 The procurement procedures for Chinese rail cars are notoriously corrupt. Caixin has found stories of “sink tops that cost 26,000 yuan each, [and] 11,280 yuan for a water valve.” But the Chinese government is slowly improving on this matter of financing. While not directly related to high speed rail, the recent invitation for foreign bids to improve Chinese infrastructure represents a step in the direction of more efficient infrastructure construction. By declaring an intention to put private firms on the same level as state-owned firms in the bidding process, this is a sign that the Chinese government is slowly improving on its state driven model. Unlike the past decade of “the state advancing, the private sector retreats” (guo jin min tui), future Chinese rail development can advance alongside the private sector, thereby reducing risks of corruption. But even if difficulties should arise, they should be put in the proper context. Any complex system will occasionally fail. As a Chinese blogger writes, the proper response in this situation is to “discover problems, face the problems, and then solve the problems.” This is normal and one does not need to condemn the entire system at the first sign of trouble, nor let the first sign of pessimism derail an entire growth story. Even if there are risks, the rewards are far greater. To channel the words of the late US president John F. Kennedy, China must invest in high-speed rail not because it is easy, but because it is hard—and because it represents a critical next step in China’s march toward development. Follow Yichuan on Twitter at @yichuanw. His blog is Synthenomics. We welcome your comments at ideas@qz.com. The opening of a new line was first announced on a government website at 10 p.m. That night, the train station received calls asking about tickets from more than 50,000 people.